The PPMA Group Industry Awards return for 2017, coinciding with the PPMA Show. Seen as the landmark awards event for processing and packaging industry professionals, over 400 industry leaders will come together to celebrate the achievements of businesses across a diverse range of categories. Russell Finex is delighted to have been shortlisted for two awards, highlighting another successful year for the company. The event, held at the National Motorcycle Museum, Birmingham, sees 13 awards up for grabs throughout the evening. Russell Finex, a global leader in the manufacture of industrial sieving and filtration equipment, has been shortlisted for Environmental Initiative of the Year and Exporter of the Year. 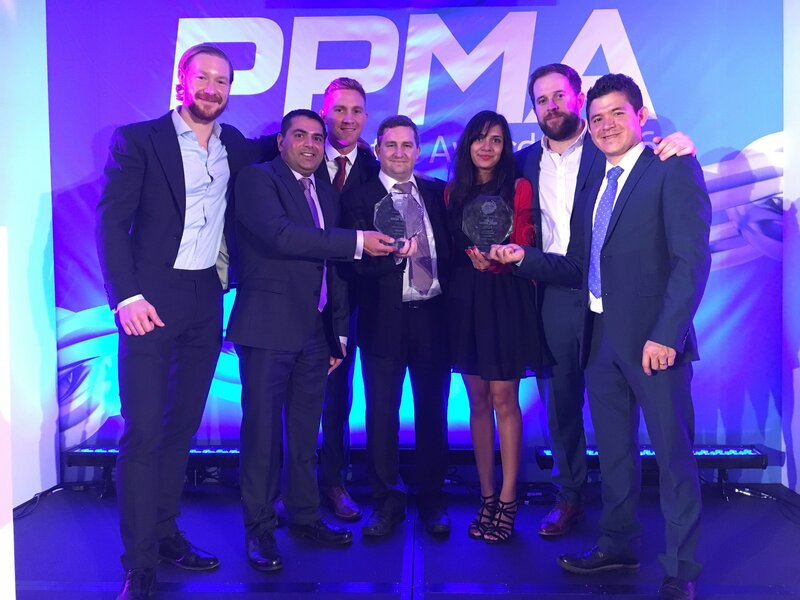 Having been successful in winning two awards at the PPMA Group Industry Awards 2016, the company is hopeful for further success this year. For over 80 years, Russell Finex has enjoyed steady, strategic growth of its export activity, with subsidiaries in the USA, Belgium, India and a new subsidiary in China, supported by UK headquarters and factory. Part of the company’s success can be attributed to building and maintaining a global customer base, supported by local sales and aftermarket teams. With an increasing number of sales coming from export markets, Russell Finex continues to target new opportunities, as well as expand into existing territories. Another important recent development includes the opening of a new sales office in Brazil. Russell Finex also invests in reducing its carbon footprint, and has taken several steps in recent years to become a more eco-friendly manufacturer. These include the additions of solar panels to power its UK factory, as well as the introduction of biofuels, and increased recycling and reuse of industrial materials. These developments have already had a significant impact on energy use, and further improvements are planned in the future. Founded in 1934, Russell Finex is a global manufacturer of industrial sieving and filtration equipment To find out more about the company and its range of separation solutions, contact Russell Finex today.